THE beach season is well and truly upon us, bringing with it plenty of sun, sand, and surf. What’s more, in Queensland we’re spoilt for choice. Here are some of our favourite beaches just a short drive from Brisbane. A jewel in the crown of the Sunshine Coast, Kings Beach is a busy family spot, but nonetheless a great spot to spend a lazy day. On Sunday mornings the Caloundra Street Fair markets are also worth a visit. This is definitely a beach to come back to again and again. Nominated as one of TripAdvisor’s top 10 Australian beaches, Mooloolaba is the Sunshine Coast’s holiday hub, where everyone goes to unwind and be looked after at one of the safest and most family-friendly surf beaches in the country. The beauty of Mooloolaba lies in the clear blue water and pristine white sand, but it offers more than just a beach day. It also has a glamorous beachfront esplanade full of outdoor cafes, juice bars, alfresco restaurants, and fashion boutiques, as well as attractions like the exciting UnderWater World. One for those who like a Gold Coast beach less travelled. It’s documented that “the Nobbies” was the late 19th century name for Little Burleigh Head; a local reference to Tallebudgera grazier Frederick Fowler’s head bullock, Nobby, who once went missing and was later found in said location. Along the Gold Coast Highway is the main Nobby’s strip. Here you’ll find tapas bars, boutique stores and The Smoothie Shack. From Nobby take a 15-minute walk south and climb North Burleigh headland. From here you get spectacular views of the Gold Coast skyline. Both beautiful and mostly flat, Woorim Beach is a popular spot for swimmers, surfers, walkers, fishers and picnickers. There isn’t too much happening on Bribie, which makes it a favourite with the older generation. However, the surf club serves a delicious fisherman’s basket, and if you’re after a more adventurous afternoon, you can always hire a boat and cruise up and down Pumicestone Passage. One of the island’s most iconic surf beaches, this is a popular spot with both locals and tourists. It’s ideal for swimming, surfing and fishing, and the nearby Stradbroke Island Beach Hotel is the perfect place for a cold beer. Cylinder is patrolled 365 days a year and has a gentle wave that’s great for body surfers, boogie boarders, and those learning to surf. If you’re a fan of seafood, check out Fishes Cafe at Point Lookout. The oysters, prawns, sand crabs and Moreton Bay bugs are fresh from the trawlers. The beaches of Coolangatta have some of the Gold Coast’s best surfing conditions and most picturesque scenery. Greenmount Beach and Rainbow Bay are the Gold Coast’s only north-facing beaches, providing sheltered conditions for swimmers. A walk around the point to Snapper Rocks improves your chances of seeing whales on their annual migration during the cooler parts of the year. 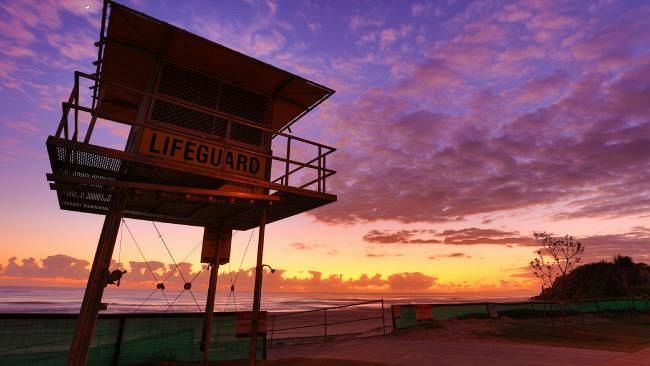 It’s also home to Tweed Heads and Coolangatta Surf Life Saving Club, which formed in 1911 and is the oldest Aussie club of its kind.